D’s of JejuIn today's section of our A-Z guide of Jeju, we take a look at some of the wonderful things on Jeju beginning with the letter D.
This series takes a look at highlights of Jeju's nature, culture, food, and more. All the way from A through to Z.
Dolhareubang stones, also known as “Old Grandfather” stones, are carved from porous basalt - a common volcanic rock on the island. These sculptures are believed to offer protection to the buildings they guard. Besides acting as guardians, they are also symbols of fertility. The popular belief is that if a couple rub the nose of a Dolhareubang they will give birth to a boy and they rub his ears, they will give birth to a girl. Although the carving is simplistic, each Dolhareubang statue has a different expression. 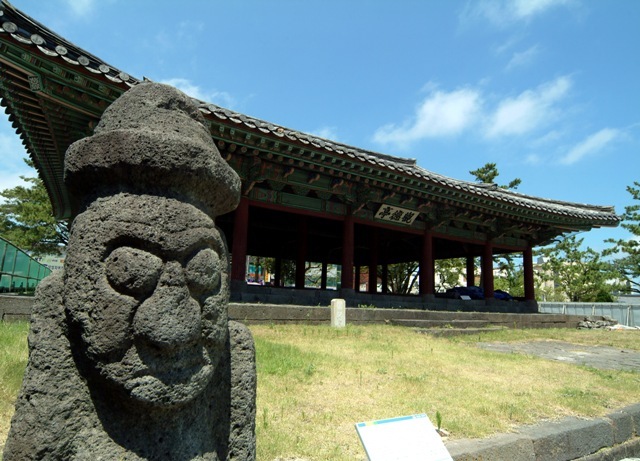 There are only around 47 original Dolharebang remaining on Jeju. When you travel around the island, see if you can spot the filming sites for popular dramas like “Goong”, “Secret Garden”, “Boys Before Flowers”, and “Dae Jang Geum”, just to name a few. Seopjikoji, a rocky outcropping on the eastern side of the island, appeared in the hit dramas “All In” and “My Girl”. The variety show “Running Man” has also filmed episodes there. And majestic Hallasan Mountain and Jeju’s beautiful oceanviews serve as the backdrop for many familiar dramas, including “My Lovely Samsoon” and “Lie to Me”. One of the best ways to explore Jeju is by car. See the sunset behind towering wind turbines along the Shinchang coastal road, or catch sight of the smaller islands along the Sagye coastal road. A popular inland course is the “1100”, a road going from Jeju City to Seogwipo City. This road towards Hallasan is especially beautiful in the fall, with the colorful changing leaves. No matter the season, each driving course in Jeju has something unique to offer. As the weather warms up, one can’t help but think of all the cold, delicious desserts waiting to be devoured! 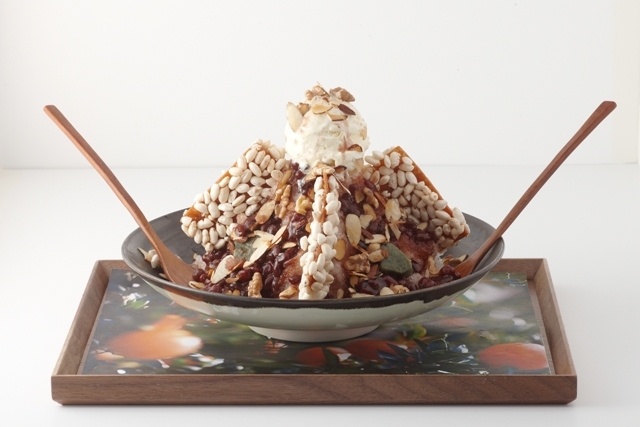 One of the most popular Korean summer desserts is “bingsoo” - a shredded, flavored ice with a cornucopia of possible of toppings. Here on Jeju, two popular flavors are green tea and carrot. Besides being delicious, they are also healthy. But don’t limit your options to bingsoo alone. Other enjoyable desserts on the island include organic green tea ice cream, a yummy green tea spread, and peanut ice cream!